Most likely to be found on a Saturday morning: Old Beach Farmers Market (OBFM) is a fresh outdoor marketplace featuring local vendors located in the heart of the oceanfront resort area. Next island I would like to visit: The Greek Islands because of its picturesque seascapes, food, wine and the allure of the islands. Favorite time of year in Coastal Virginia: Definitely the fall. The weather is perfect as the leaves begin to change colors. Wildlife is plentiful and the local fishing is at its peak. Born and raised in Norfolk, Catherine’s love for coastal Virginia is home grown. As a Virginia native, she has lived everywhere from Ghent to the Oceanfront. Catherine and her family have settled in the Little Neck area of Virginia Beach where they live on the Lynnhaven River. They love boating, paddle boarding, kayaking, fishing and just enjoying the nature the river offers. After 15 years working with Lynnhaven River Now, they see their river improving greatly! Catherine earned B.S. at Virginia Tech and started her career in the medical supplies field. After taking time away from work to stay home with her two boys, Catherine found she really enjoyed real estate. Catherine realized that where she lived while raising her children had an immensely positive impact on their lives. Access to great schools and living in safe neighborhoods are a few of the most important ingredients in a great environment for kids. Catherine purpose is to help individuals and families find the neighborhood and home that best allows them to thrive. 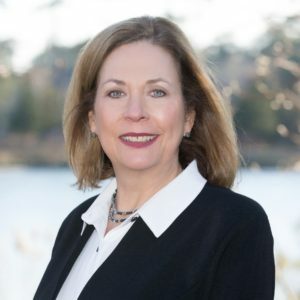 As a partner and Realtor® in Virginia Coastal Connection, the team has the resources to execute your real estate transaction anywhere along the coast: Virginia Beach, Norfolk, Chesapeake, and the Eastern Shore, or wherever you choose. Catherine is here for you to offer real estate advice about our neighborhoods, professional real estate services, and educational resources. Catherine Prutsman…Guiding Your Next Move. Catherine, you have been attentive, helpful, professional and insightful in helping kathy and I along in the process of searching for a home. It was truly a pleasure working with Catherine. Her tireless efforts to assist in our home search made the entire process go smoothly, and her willingness to go the extra mile in assisting us with our relocation to Virginia Beach made the transition a pleasant experience in every way! Catherine was easy to work with and readily available. She helped us buy a house without pressuring us which I appreciated. She gave her honest opinion and advice but let us make the final decisions. I highly recommend Catherine! Absolutely the BEST agent we ever had. We are very happy with our new home. I was very fortunate to have had Catherine to work with. My mother had just passed away, and it was her home I was selling. To make the situation even more problematic, I live 2,000 miles away in Colorado. Catherine made my life extremely easy by handling everything. Not to mention, I sold it for my asking price within the first 60 days. She is awesome! Catherine was the perfect Realtor® for us, especially buying our first home. She made sure everything was good to go before the purchase and really looked out for our interest and well being. Thanks for your outstanding service and support! Catherine was friendly, knowledgeable, and professional. My wife and I could not have been happier with anyone else. Catherine was great! We had a lot of delays, changes in plans, budget and wants and she handled each of these with patience and ease. Catherine was the best agent we could have asked for. This was our first home purchase and she answered all our questions and made the whole process easy to understand.